Quick and easy card using Concord & 9th Birdie Banners and the sprig from Wildflower. Love the look on this bird's face! I think we need a "get me out of here" sentiment. That could work for a lot of situations! Stamped the sprig 3 times, colored with Copics, fussy cut, and adhered on top of one another. 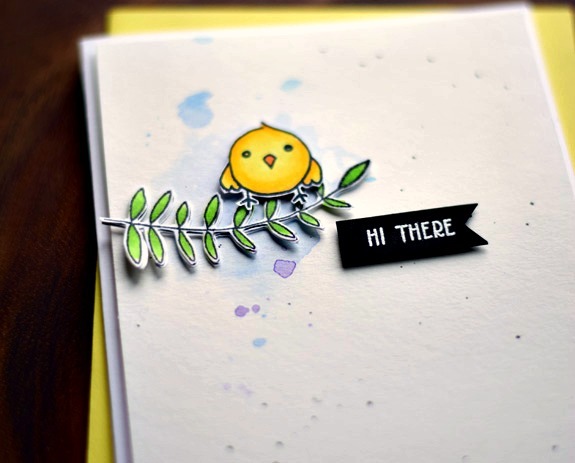 The bird was stamped and colored with Copics and everything was adhered on a watercolored layer. Both the bird and the sentiment are popped up on foam tape. That birdie is just too darn cute! Love the sprig and all your cutting and layering, too. 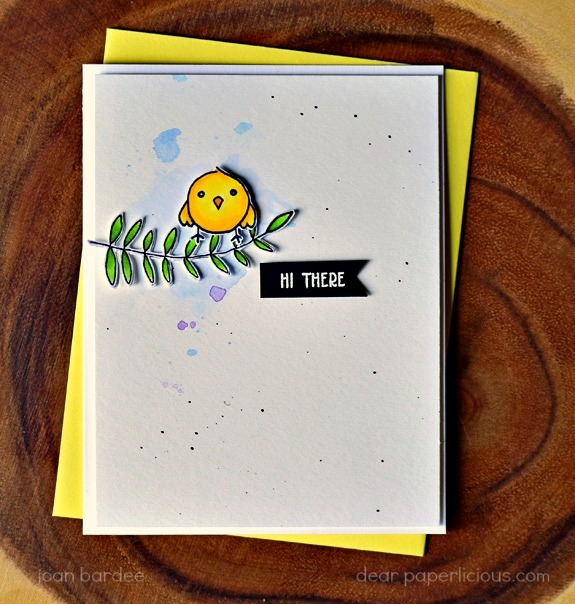 And your watercolor splatters always look fabulous! Lovely card, the bird and his little expression, the soft splatters, and the colors just warm my heart! That little birdy is so cute! Love your card - can't believe you fussy cut that branch!